I too applaud your bride with the goldenrod and Queen Anne’s Lace! Just because they are easy to grow and they seed themselves all over doesn’t make them any less pretty… in the right setting (i.e. not where I want other things to grow)! garden & see what nature does!!! Hey sharyn! Great to hear from you. I can’t wait to hear what fabulous combinations of natives you come up with. There are some beauts out there for sure. I also happen to think goldenrod is so pretty! 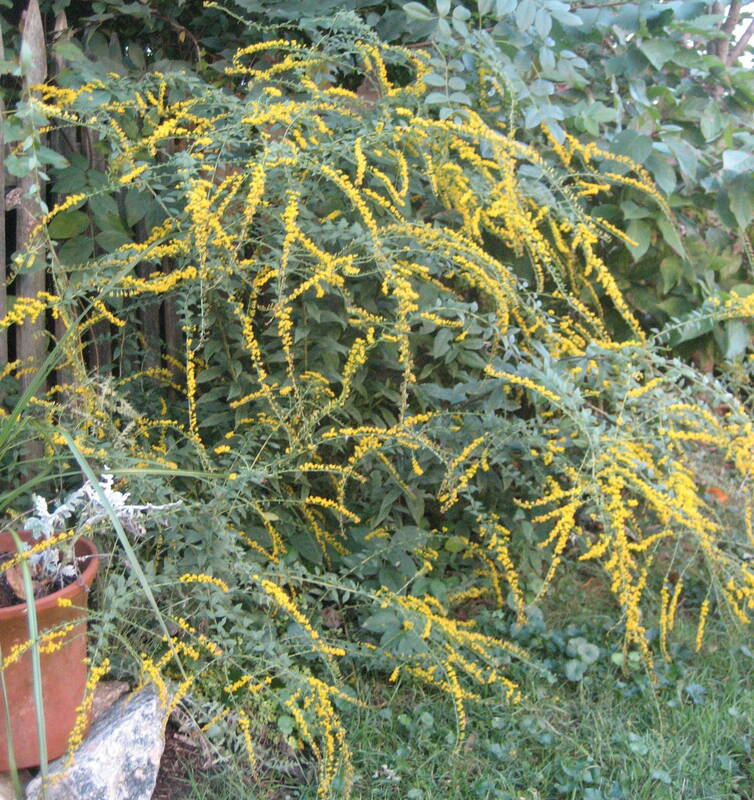 From my understanding, it’s not the goldenrod that is the bane of allergy sufferers, but another plant that blooms at the same time that the more showy goldenrod does. Okay, could care less about the goldenrod and queen anne’s lace…but nearly wet myself w/your husband’s “allergens in a vase” comment. Just another example of why you are regularly thought of. 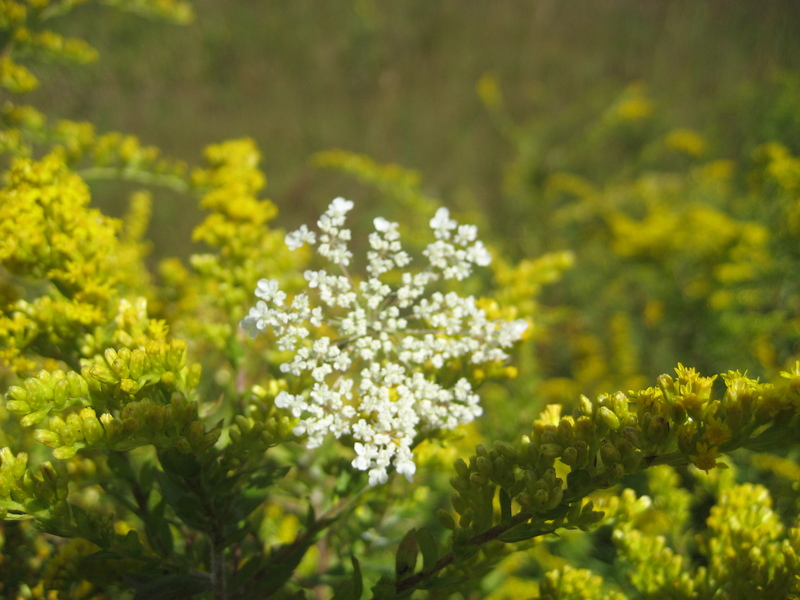 Oh Kelly, I love goldenrod and queen anne’s lace!!! That sounds like a beautiful bouquet. What flowers did you have in your wedding? Btw, tell your hubby that roses grow wild on road sides, too. Except queen anne’s lace has no thorns.